Few dishes get me as misty eyed as soup – there’s something so delightful about a lavishly prepared bowl of savoury goodness… Whether it’s a simple quick pea soup made in under half an hour, or a umami stock that’s been simmering all day, I love soup – but not carrot and coriander. That’s the devil’s brew. 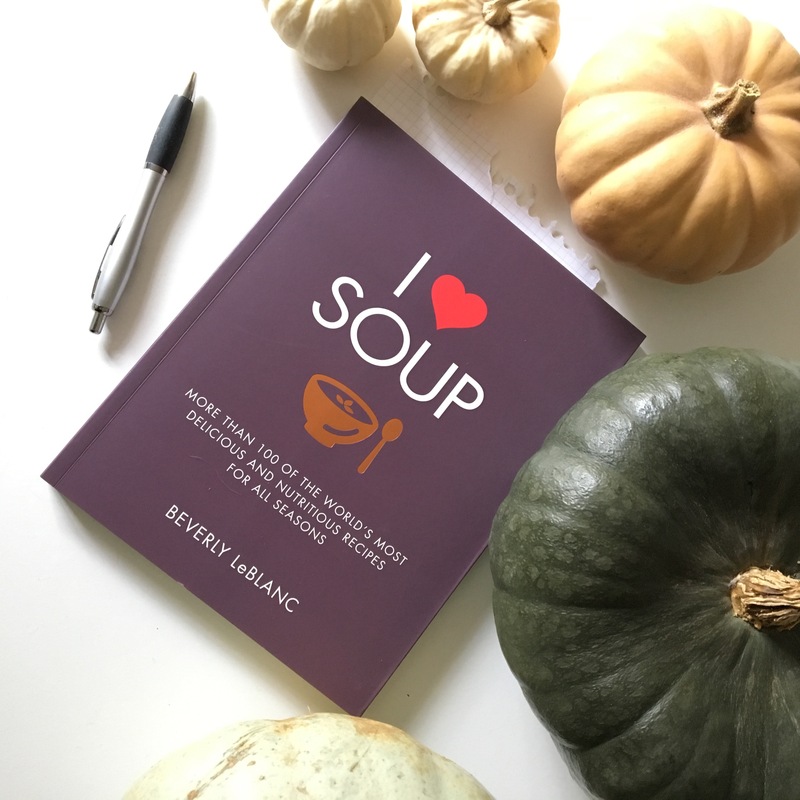 That’s why when I got a press release about Beverley Le Blanc’s new book I Love Soup, I had to ask for a copy right away! 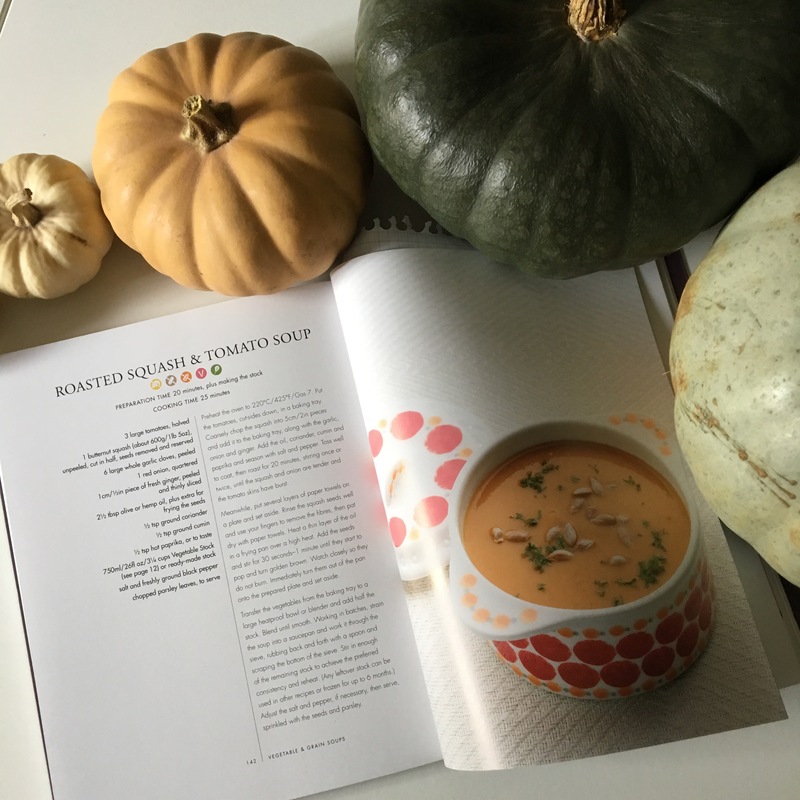 As it’s autumn and my house is full of pumpkins and butternut squash, I decided to make this roasted butternut squash and tomato soup – I’d never had tomato in a soup like this and was really intrigued about what it would taste like. 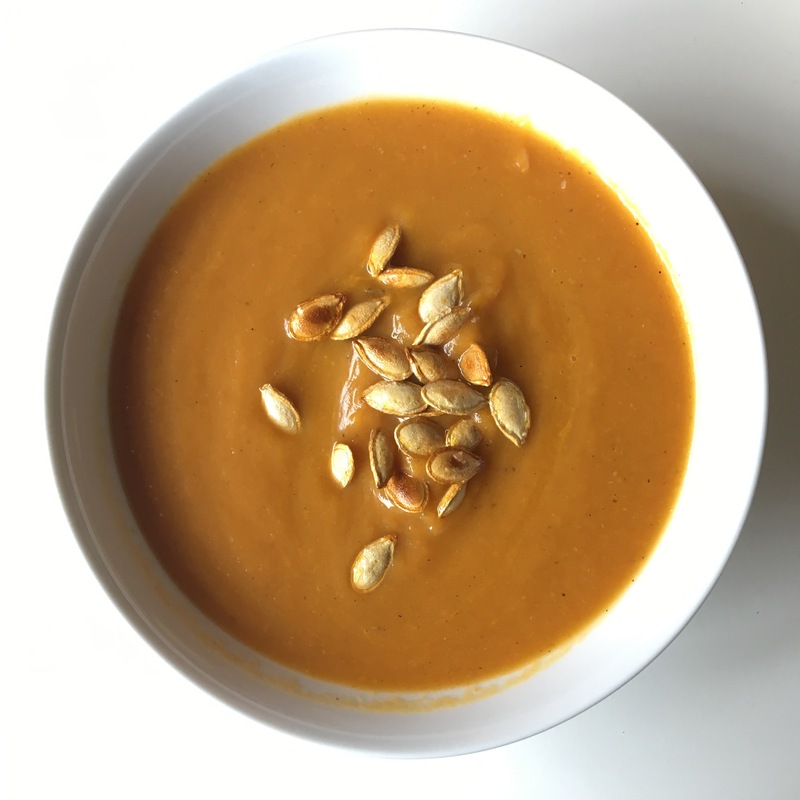 The soup is so simple to make – you roast the main ingredients in the oven, and then blend and purée, making a comforting yet tangy and rich bowl of happiness! 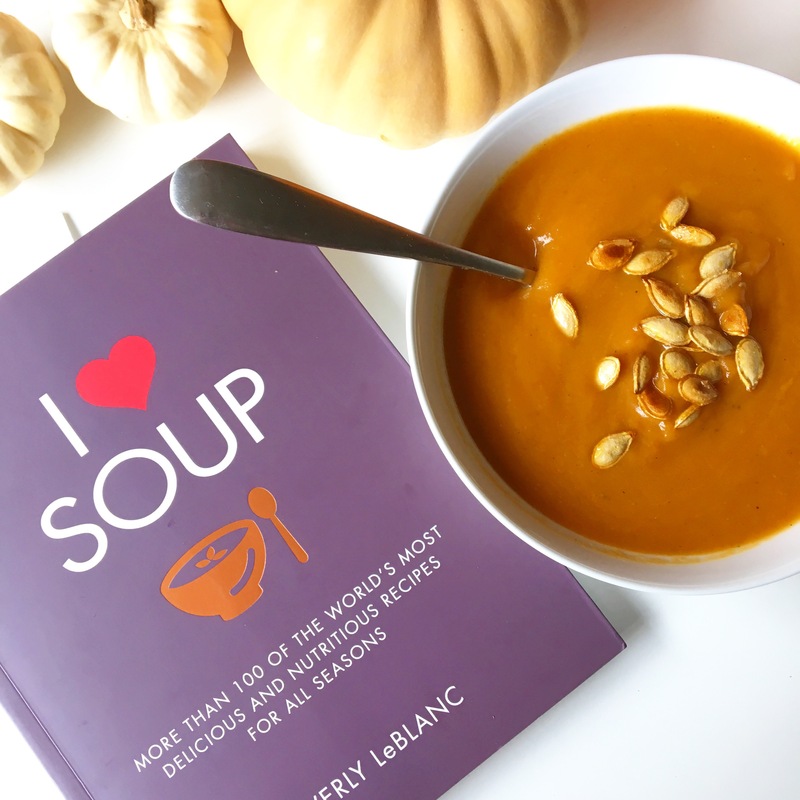 This book is full of classic recipes like stew, bouillabaisse, and even bread recipes to make some great accompaniments. You can pick it up now for £12.99 from Amazon – a great investment for the months ahead!